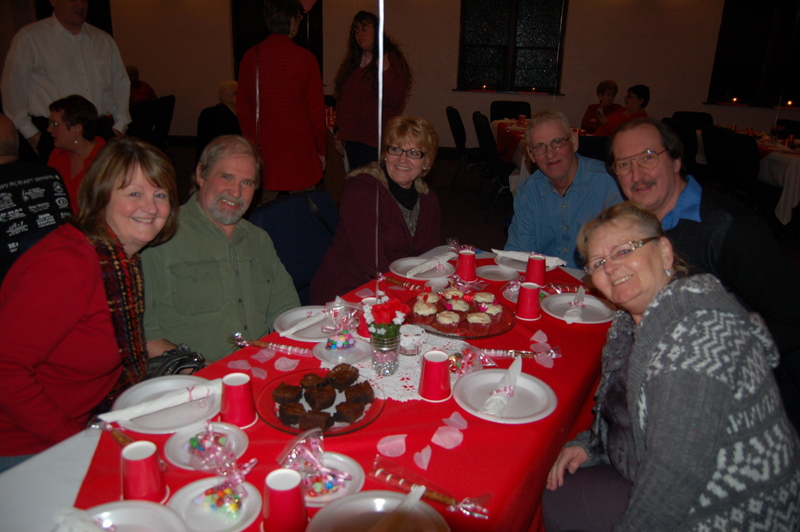 We had more than 30 first-time visitors who attended our first Valentine’s Outreach Dinner. We converted the church auditorium into a banquet hall complete with red and white table coverings, candles, centerpieces and balloons. 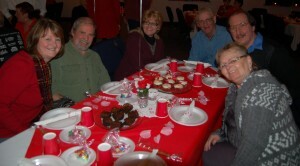 The atmosphere was enhanced with soft music and PowerPoint slides of scripture verses highlighting God’s love. A short devotional focused attention on the greatest love of all, God giving His Son. The evening ended with many door prizes, most being won by our guests! Most of our visitors are unchurched. Many indicated their desire to attend again on a Sunday. Please keep praying that the Holy Spirit will work in their hearts and minds to come again; and, help us as we work at following up with them.